With the Gouda and Delftware moved to the dining room on the first floor, we had room to display our collection of artifacts from the Netherlands. 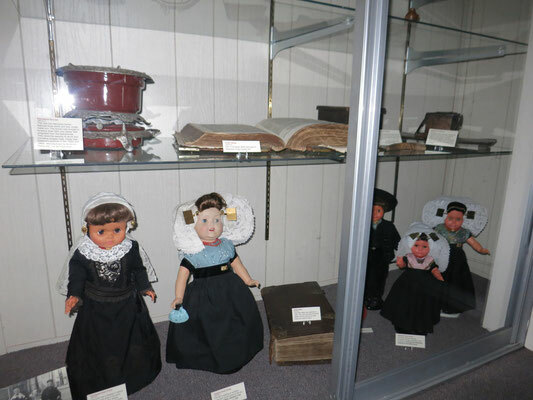 The Dutch dolls are wearing authentic dress worn by the men and women in the Netherlands. 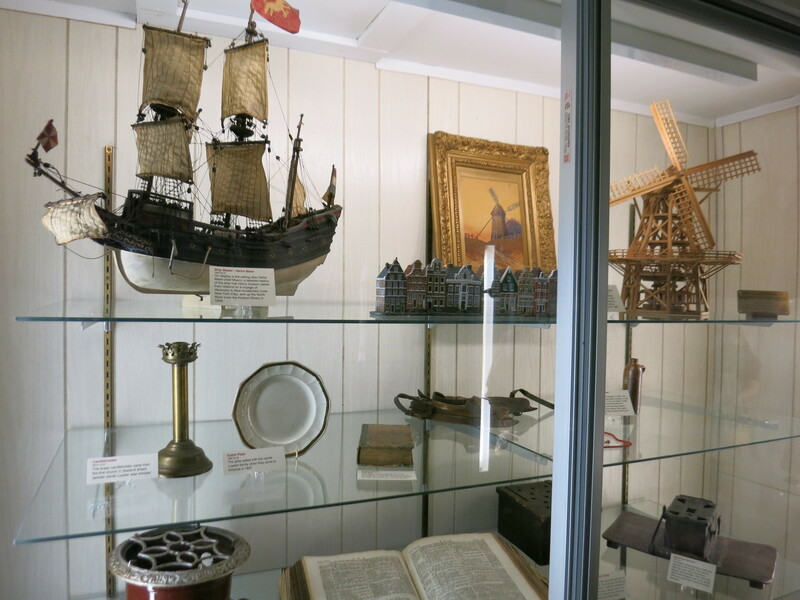 You will see Dutch bibles dating back to 1682 and 1718. 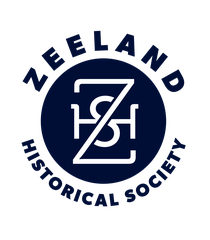 We also have items from Jannes vande Luyster, founder of Zeeland, Michigan. Check out the coral beaded necklace worn by Trijntje Baert, wife of Zeeland's first physician and first village president. We even have a little gin flask, called a "Jeneverflesje." The Dutch Houses are a lower level of Delftware because real Delft is very expensive. They are still Delft, made in the Netherlands, but may be hand-painted or transfer-printed.